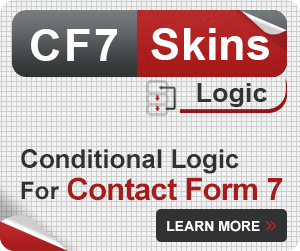 CF7 Skins comes with many Styles for you to use with your Contact Form 7 forms. 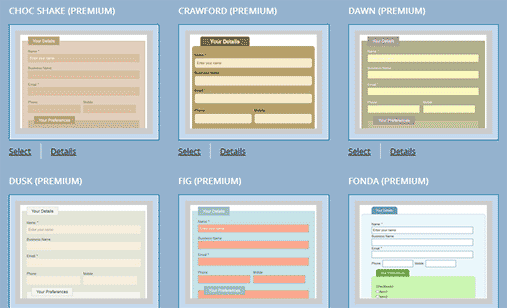 There is a common misconception that the Contact Form 7 plugin controls the appearance of Contact Form 7 forms though the plugins CSS style sheets. 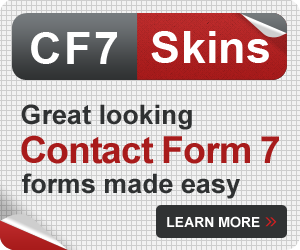 In truth the Contact Form 7 plugin uses only very minimal CSS styling to allow Contact Form 7 forms to blend in with most websites. 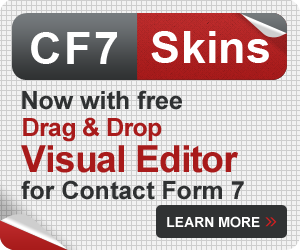 The actual look of CF7 forms on your website will depend largely on the current WordPress theme used and the CSS styling that theme applies to standard HTML form elements. Experienced WordPress users, skilled at using HTML and CSS, are able to style their Contact Form 7 forms to their particular requirements, but this requires a level of skill beyond many people. 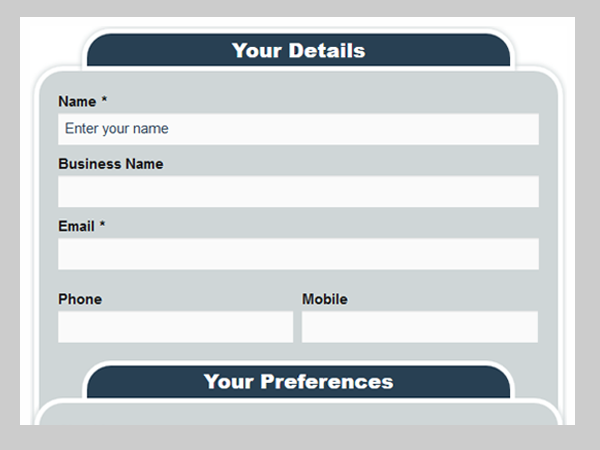 The default forms in Contact Form 7 tend to be very plain looking. Sometimes your WordPress theme may take over and style your form button or text but that’s about it. 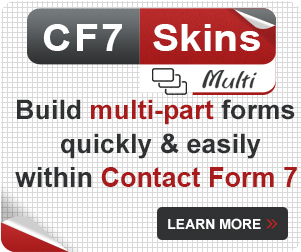 CF7 Skins helps solves this problem by providing you a wide range of Styles that you can use with your forms. 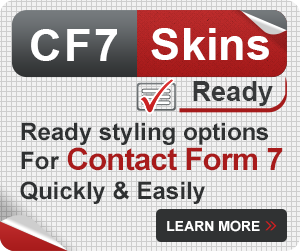 All you need to do is select a Style that best suits your design needs and CF7 Skins will automatically apply it to your form. For some reason many WordPress themes do not provide CSS styling for standard HTML form elements. Importantly if your theme neglects to provide appropriate CSS for these standard HTML form elements then the appearance of your form will fall back to that provided by default by the browser – which can be different in different browsers.